With camp right around the corner, the Sea Turtle Camp Staff is feeling a bit nostalgic and has been thinking a lot about the amazing activities we have planned for our campers this summer. Camps around the world have a lot of common denominators – making friends, experiencing new things, stepping out of your comfort zone. But as we’ve been busy planning away, we realized…Sea Turtle Camp really can’t be summarized in such simple terms. Of course, our campers do create lifelong friendships and have tons of once-in-a-lifetime experiences, but it’s also so much more than that! Have you ever wondered what it would be like to stay under water for more than a few seconds at a time? Or wanted to know what a sea turtle does while it’s swimming around in the ocean? So have we! 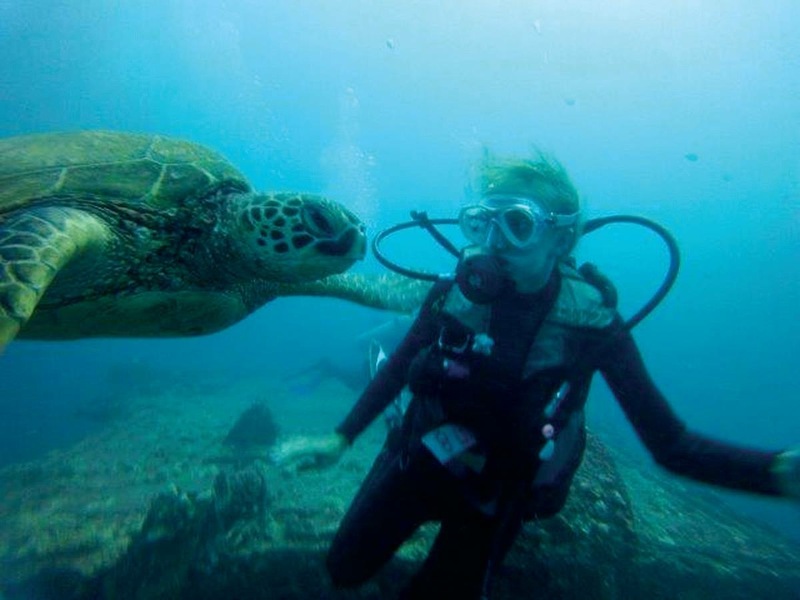 Our SCUBA programs open the doors to an underwater world unlike any other. Whether you’re a beginner our advanced diver, our programs are suitable for all levels! There is never a shortage of activities to do, places to see and people to meet while you’re a camper here. Every day is completely different and jammed packed full of incredible opportunities! Here at Sea Turtle Camp, we spend pretty much every day outside (weather permitting, of course). 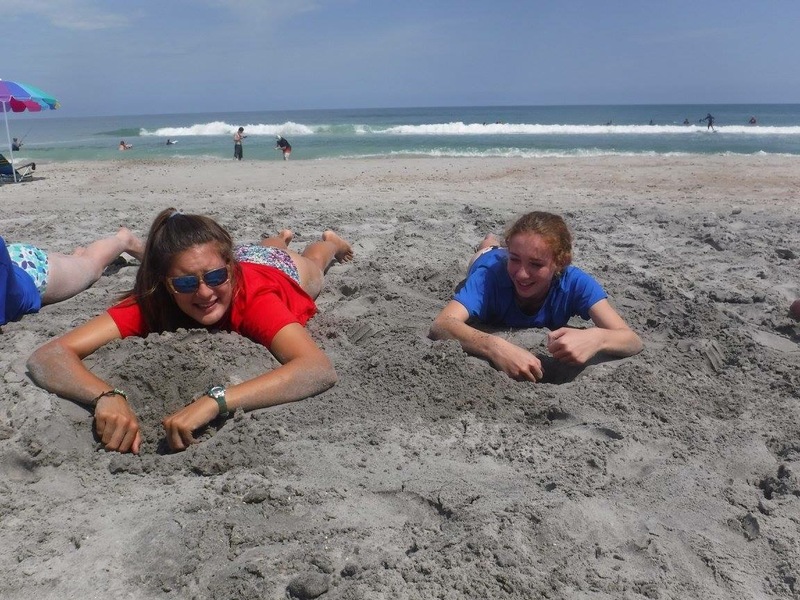 Whether we’re exploring the salt marsh, taking a surfing lesson, or gallivanting around Bald Head Island, we just can’t get enough of that North Carolina sunshine! One of our favorite activities is learning about the salt marsh ecosystem and all of the organisms that inhabit it. We love that our own backyard is a nursery to so many amazing creatures. At first glance it may not look like much, but it’s a thriving and vital part of our coast. And as we know…a smelly salt marsh is a healthy salt marsh! One of the best parts of Sea Turtle Camp is the fact that we live less than 100 meters from the beach. With a private beach access right across from our facility, we get to enjoy the sandy, shoe-less lifestyle every single day. It doesn’t get much better than that! Volunteering at the Karen Beasley Sea Turtle Rescue and Rehabilitation Center is hands down the biggest highlight of camp. North Carolina is home to four of the seven species of sea turtles – all four of which are either endangered or critically endangered. 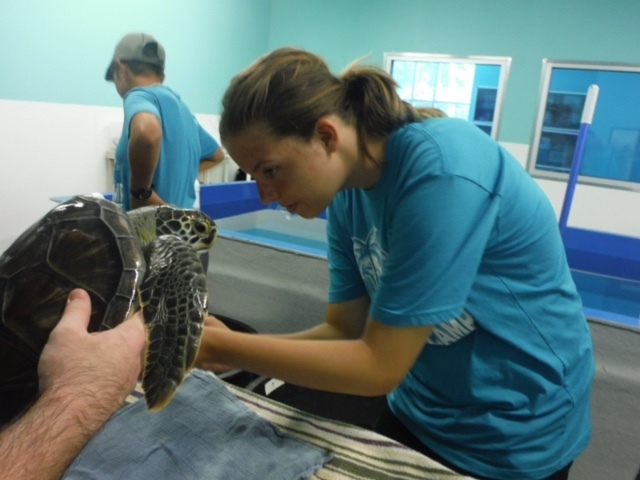 Our campers have the truly once-in-a-lifetime opportunity to work hands-on with these federally protected animals and make an incredible impact on the lives of each turtle they interact with. As you help feed, clean, and care for these sea turtles, we have no doubt that you’ll be able to feel the radiation of their undying gratitude. We hope that you’ll join us this summer to explore the world of conservation and help make a difference on our beautiful coast!